Second purse, same as the first - a little bit smaller and a little bit...well, mostly just smaller. 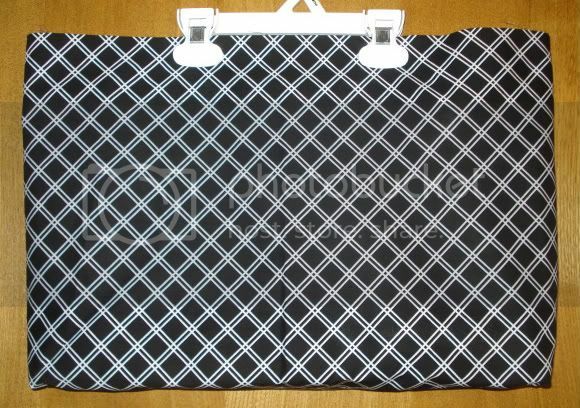 I was able to trim it down to 16x12 - a much more purse-like size. The bottom isn't as deep, but it should still work fine for the magazines and papers the recipient carries. Now I just need to add the detailing and straps and get it all together. Hunter's Star: (new) seven blocks are completely together. 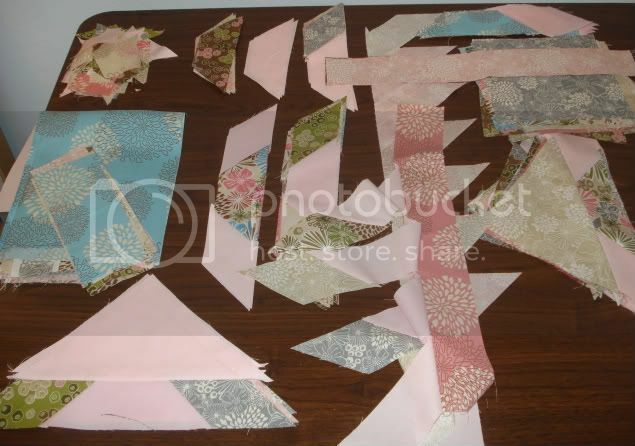 Fifteen half-blocks with prints are done; three half-blocks with pink are done. Countless others in various stages. A LOT of math in this one. 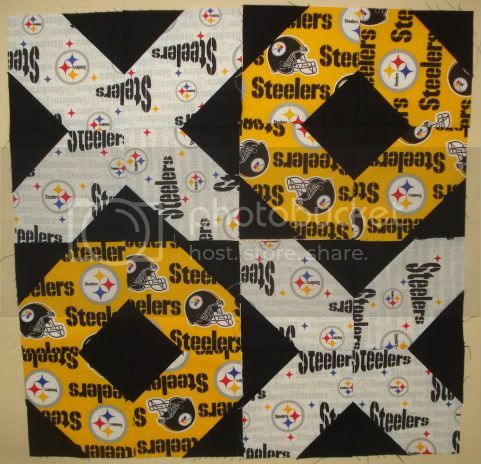 Steelers Quilt: four blocks completely pieced. Two and a half partially pieced. Ran out of black Kona. LQS Saturday Sampler: Almost done with March's block. Must remember to post March & February on Saturday! Come Sail Away Quilt: it's back from the quilter and looking great! Just need to sew on the binding - I'm splitting it between the dark blue of the water and light blue of the sky, so it will be a little more complicated to line things up, but hopefully not that bad. Knitting bag and pattern holder for my sister. Fabric should arrive this week.